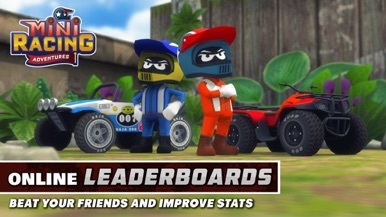 Mini Racing Adventures challenges you to unlock our collection of 26 unique vehicles each with their own feel, to travel across the farthest reaches of 13 adventurous stages. 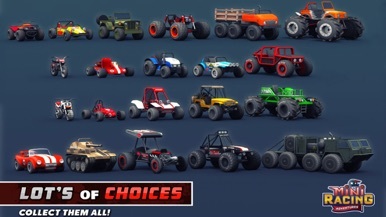 Race into action as you select your favorite Buggy cars, ATV, Trial Motor Bike, and even Trucks to climb the highest hills, dirt tracks, snowy mountains, and other beautifully designed stages. 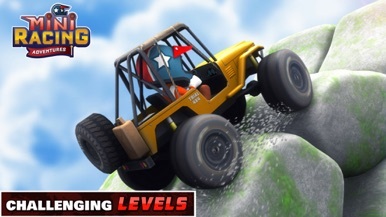 Maximize your vehicles potential by unlocking 5 different upgrades. We wish we could see you at the finish line but the road never stops so you will have to create your own. Are you up for the challenge? 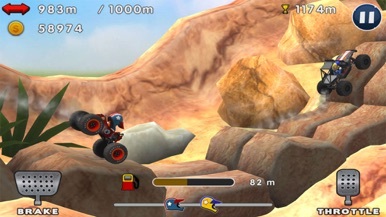 • Smooth and realistic physics (look at those suspensions in action!). 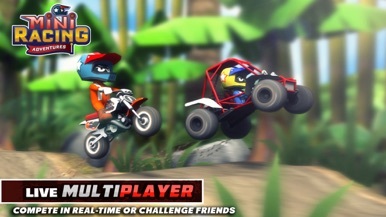 *Please send us bug report and any problem to support@minimostudios.com we will try to fix that. There are some bugs and suggestions that we haven't fix yet, please be patient and keep us updated. Thanks for the support!